In addition to teaching, and spending 60+ hours each week on school related things, I was also taking courses for my MAEd in Instructional Technology at East Carolina University. So, although I've been in hiding for a long time, I promise it was for a good cause. And the fantastic news is that I'm finally DONE! So now that I have *oodles* of free time, I was trying to think of something to blog about. Something fun. Something I love. Fonts! Fonts make me happy! So, after organizing a few cluttered and disorganized folders of fonts, I was able to narrow it down to 10 fonts for this post. 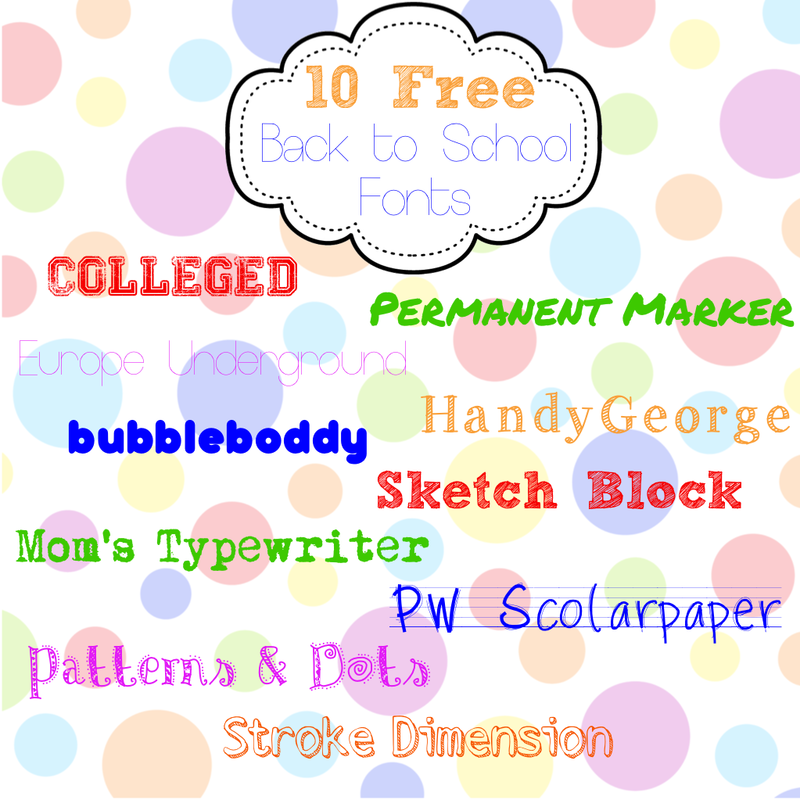 So, since it's August, and "Back to School" is all over the place, here's my contribution with fun, and not to mention free, fonts! I love using fonts to add excitement to my documents, lessons, and materials. Plus, sometimes it's just nice to have a change, so I'm always searching for new fonts to add to my collection! Do you love fonts as much as I do?! :) What do you use fun fonts for? I hope you can use some of these for something wonderful! Now it's back to doing "real work" to get ready for the first teacher workday on August 19! I'm a Technology Teacher in Burlington, NC. I previously taught 4th grade for 5 years, and then felt like I needed a change. I'm currently in my 5th year as the technology teacher, instructional technology specialist, and webmaster at my school....and I LOVE my job!